Part of an Education/school themed lesson. This has standard questions about school and students are also asked to compare their own answers with others. The present downloadable worksheet is meant for high school students, elementary school students and students with special educational needs, learning difficulties, e.g. dyslexia at Elementary (A1), Pre-intermediate (A2) and Intermediate (B1) level. 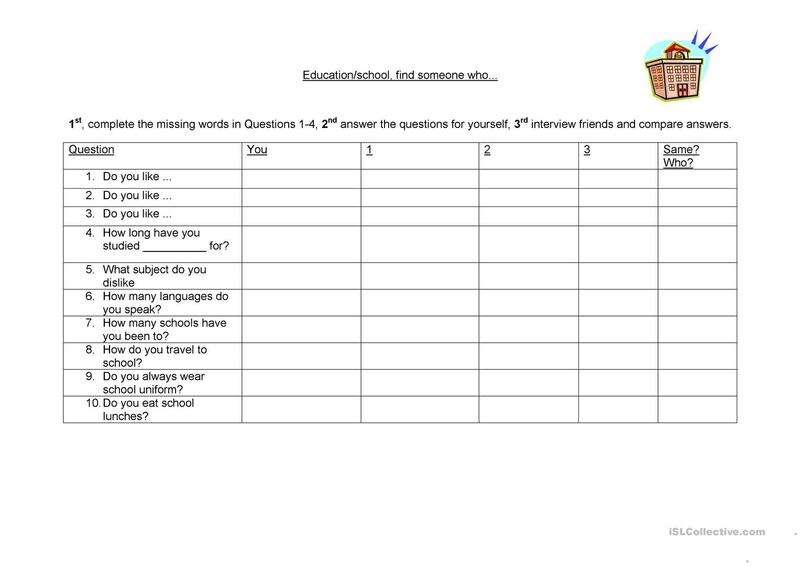 It is great for practising Questions in English, and can be used for improving your learners' Listening, Speaking and Reading skills. It focuses on the vocabulary topic of School.